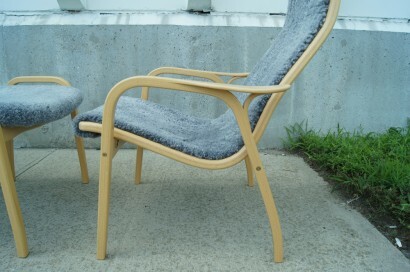 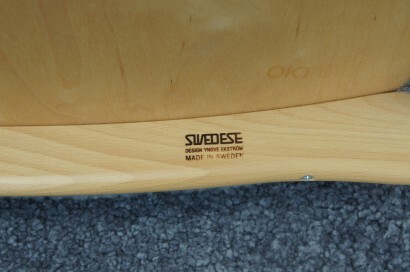 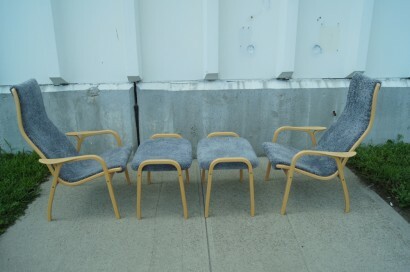 Still very popular in Sweden and voted “Best Swedish furniture of the 20th century”, this classic has been in continuous production since its creation in 1952 by Yngve Ekström, co-founder of Swedese Möbler. 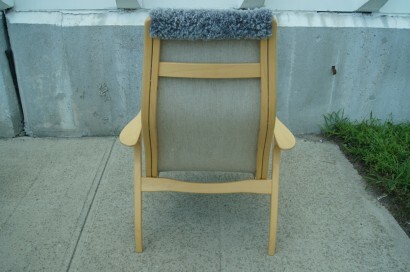 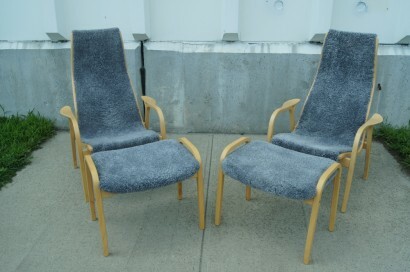 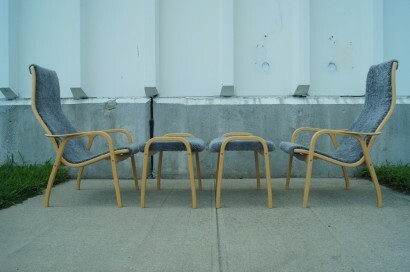 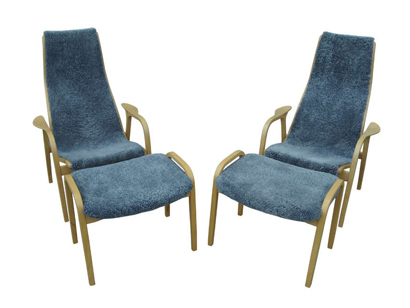 This pair features thick and cozy sheepskin upholstery from Gotland, a small Swedish island known for raising sheep. 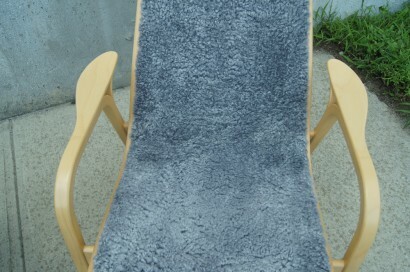 Ottoman measures 23.5″ W x 18″ D x 19.25″ H.